No new openings to report, TG. 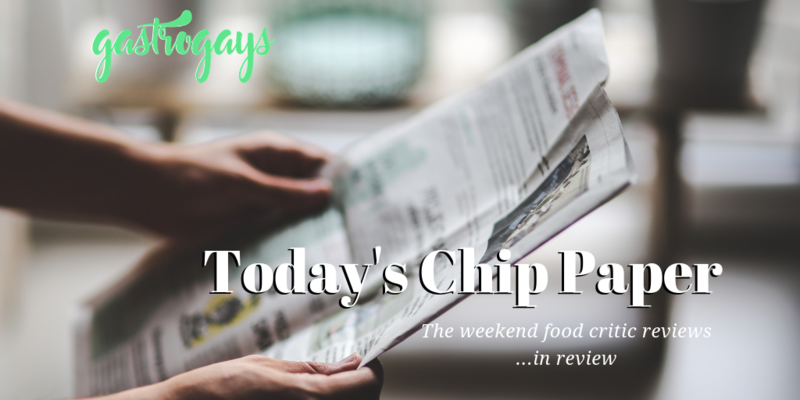 But in all seriousness, it’s refreshing to have a line-up of players from long-established and recently refreshed to one or two new-ish names on the scene in this week’s edition of Today’s Chip Paper. Though everyone loves an exciting new opening that’s doing something different and adding a dash of intrigue to the scene, lest we ever forget the established players or those places that arrived with fanfare a year or two ago but now rarely get column inches or national exposure. Not that that’s needed necessarily to own and operate a successful restaurant, but as a reader it’s always nice to read about places not being judged on their first month of opening. Two weeks after Jay Rayner visited Bia Rebel on Belfast’s Ormeau Road, Catherine Cleary documents a visit in her Irish Times Weekend magazine. Cleary finds herself “dazzled” in the “most unlikely of settings” at the ramen restaurant owned and operated by chef Brian Donnelly, who she remarks “having a chef with Michelin kitchens in his CV devote himself to doing one thing is a rarity”. The critic hails “nailed it” upon the potstickers, which have an “alchemy” to them – “parcels of shredded sweetly flavoured duck and finely diced carrot in pastry envelopes which have been steamed and finished on a pan”. 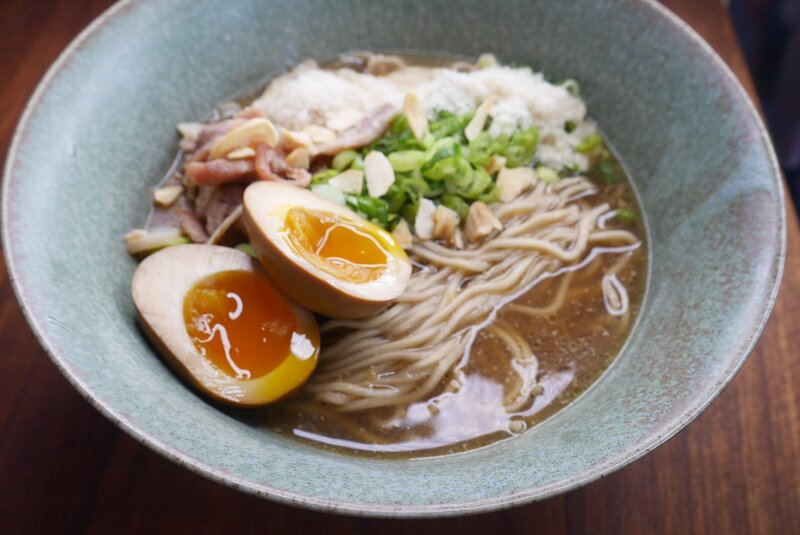 The Belfast ramen is “a perfect bowl of food. 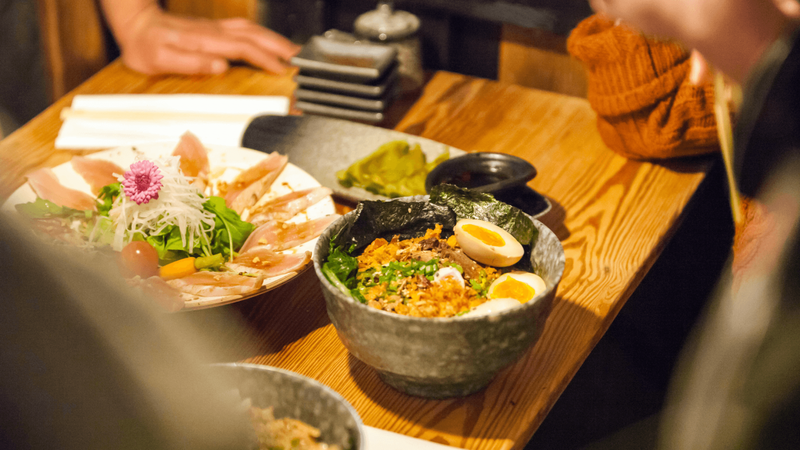 It doesn’t feel bottomless like some ramen dishes, where the slurping becomes dutiful. The noodles, which are made in house, have gorgeous nutty bite and warmth. The broth is the best I’ve ever tasted, flecked with golden drops of meat fat and the colour of light tea. Each time you fill the wooden slurping spoons another set of distinct and lovely flavours springs together. It is such good food in every sense, food that feels good for you, sets you up for the day, whether it’s the morning after the night before or the start of something new”. Of the interior, “shoestring budget” is remarked not necessarily in a negative way, but also declares Bia Rebel is “original, brilliant and entirely right” with a stonking 9.5/10! Here’s an interesting tidbit, way back when, Eden Bar & Grill was one of the first posts we *ever* published on GastroGays. Back when our blog was just a lowly, very fledgling restaurant review blog documenting our adventures strictly within the Dublin restaurant scene. Time passed, things changed on here significantly, but Eden Bar & Grill continued for about five more years. 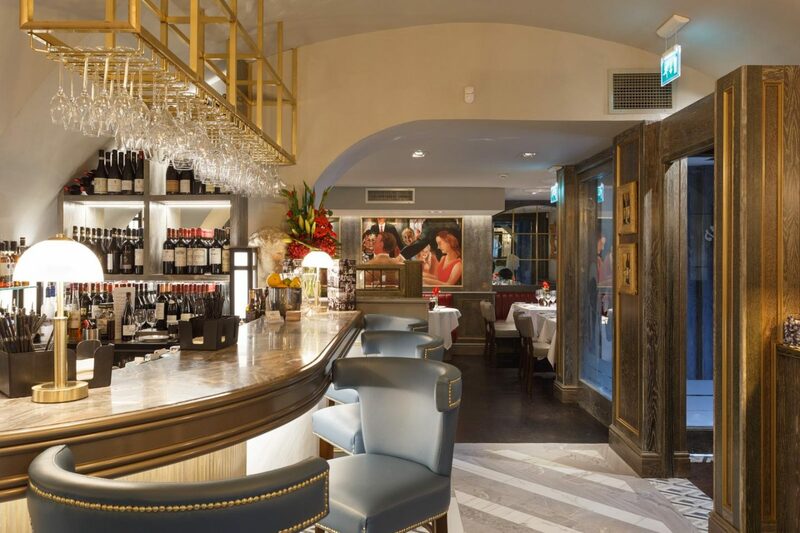 Now though, there’s a new spot in its place on Dublin’s South William Street, Bart’s, and is the subject of this week’s Examiner restaurant review column by Leslie Williams – though in the review it’s titled ‘Bart’s Bar’. Of the interior, firstly, Williams points out that in a previous “incarnation” (it’s unclear whether that means a prior visit or previously in Eden itself) the large potted plants were all fresh and verdant, but now “only a few wispy sprigs of green visible… In addition the lighting is simply awful, as dark and miserable as I would imagine the back room of a Berlin club in the 1980s”. Intrigued by the sound of the Parmesan crisps, the critic orders them to kick off, explaining: “I wondered if the chef had conjured crispy savoury thins from parmesan and flour… Clearly, I explained this idea rather poorly as what arrived was standard potato crisps with grated Parmesan on top… a solid enough bar snack but not something I would have intentionally ordered as a starter.” A mis-communicated “sausage” croquette, served apparently in singular portion, transpired to be “heavy”, arriving in duos and filled with ‘Nduja. Service overall seemed to be haphazard, as “little mistakes were beginning to pile up and we had multiple dishes fighting for space” so the critic asked for a delay, upon-whence – after a “short” period of time – arrived perfectly the dish of the visit: “cooked battered turbot with a sesame glaze and excellent coriander salsa for dipping”. The French onion soup, one of six starters on the new menu, is “an umami bomb in a bowl, with the Gruyère and Parmesan-covered crouton hiding in the glorious liquid underneath”. Another starter that impressed was the local Lambay Island crab salad. The chef, Graeme Dodrill, is “a devotee of the classics,” Nelis writes, “and there are lots of them to choose from, including chicken liver and foie gras parfait, roast beef, roast chicken, confit duck leg and dark chocolate fondant”. “Chicken as it uses to be and as it should be” is what the roast chicken main stirs inside for this critic, adding “full of flavour and serves simply with Vichy carrots, a lovely bread sauce, extremely buttery mash and a great jus” whilst the producer – Feighcullen Farm in Kildare – is praised within the review. One of the two specials on the day of the visit (both priced €45) was beef wellington, of which Nelis remarks “let’s face it, buttery pastry, beef and a mushroom duxelle is an irresistible combination – but that price was just too rich for me”. “The passionfruit soufflé was winking at me from the dessert trolley,” the writer recounts, but opted for the soft meringue with rose and lavender. “I get equal parts intrigued and horrified when I see lavender on a menu,” Nelis writes, “and I was curious to see if the kitchen could produce something that didn’t taste like potpourri… they could, thankfully: this was a light, fresh combination of meringue, vanilla curd and a berry compote, with just a hint of rose and lavender in the background”. Tom Doorley revisits a place which, 20 years ago, “revolutionised wine in Dublin” – the recently refurbed Ely Wine Bar in Dublin 2, of which the critic remarks “the food has risen to another level – fans of Ely who have been used to chunky dishes and the great flavour of organic meat from Erik [Robson, owner]’s farm in Clare, will be pleasantly surprised at what Executive Chef Ryan Stringer has done with the relaunch menu”. 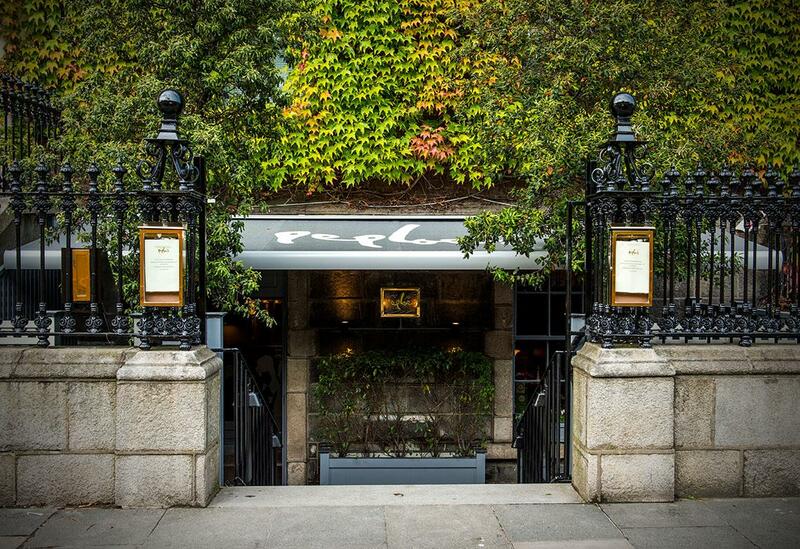 Calling it a “fine Dublin institution”, Doorley writes that “it’s still all about simplicity with a dash of rusticity, but there’s a new finesse and complexity to boot”. Of course the wine featured and accompanying each dish was also keenly paired by the staff, rather than the writer choosing, so each dish’s pair is documented and overall the wine pairing was described as “outstanding, and none of your usual suspects”. Finishing, Doorley tucked into a cheese selection which reads like something we would probably order as something of a death row cheese board – Young Buck, Comté, Tête de Moine and shares the opinion that Ely, at twenty, is “still making waves”. 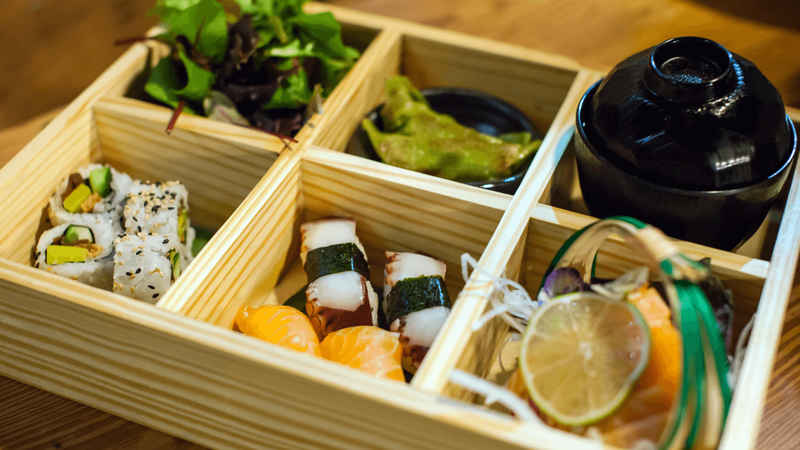 A new izakaya popped up in Dublin, piquing our interest, recently. 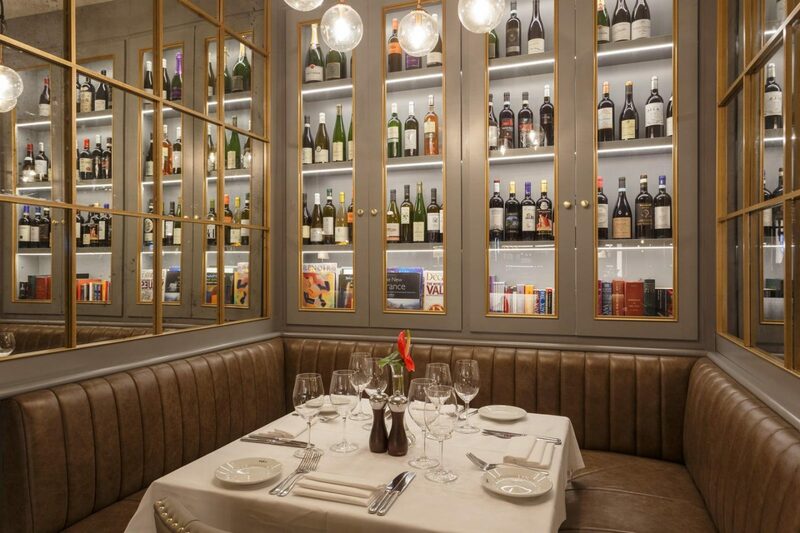 A stone’s throw from the restaurant superhighway of Georges-Aungier-Wexford-Camden streets called Sisu, and the first of the critics through the door, from what we can see, is Katy McGuinness in the Independent. 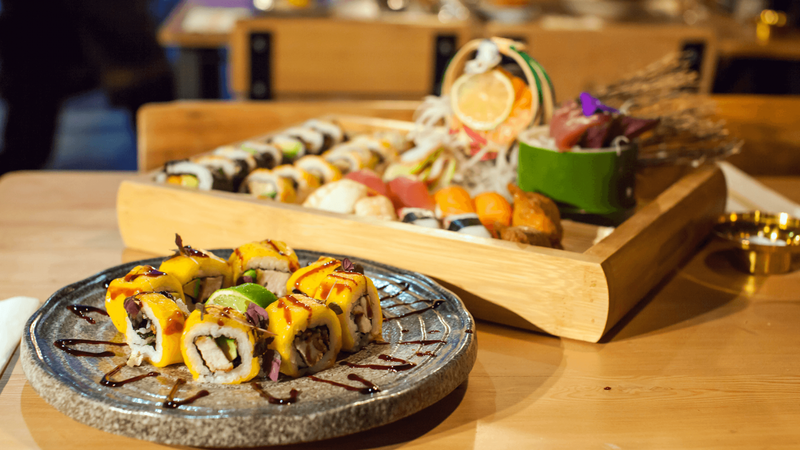 “The menu has everything from bento boxes to sushi to ramen and donburi, and there’s a touch of ‘fusion’ to some of the dishes,” McGuinness writes and there’s quite a number of issues here, which we’ll get to later. 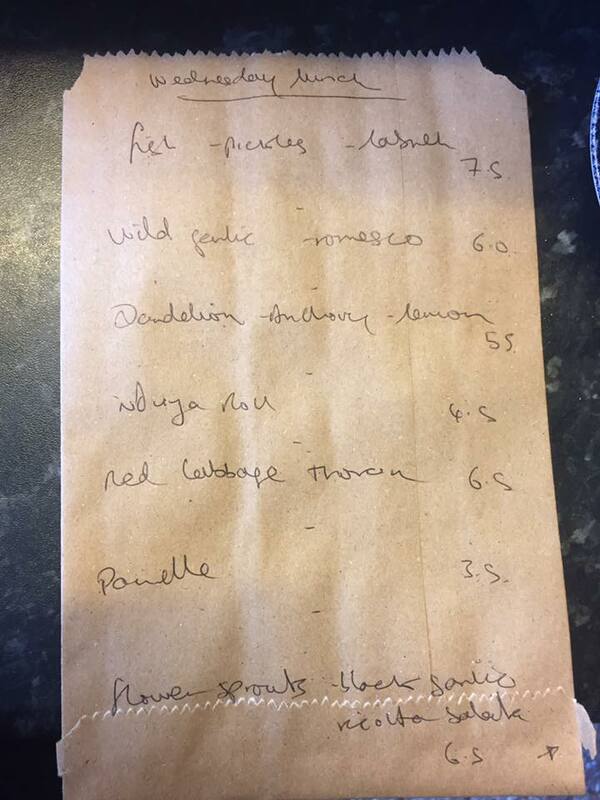 But up front, service is good and the menu is varied, if a bit “perplexing”, though this critic declares: “I ate one of my favourite dishes of the year so far.. It was unadon, an abbreviation for unagi donburi… Essentially, a large bowl of steamed white rice topped with fillets of eel glazed with a sweetened soy sauce and grilled to the point of caramelisation in a style known as kabayaki, not a million miles away from teriyaki… The combination is wondrous and I urge you to try it”. Another stellar dish was agedashi tofu – “a deep-fried tofu (I know), delightfully crisp, with grated radish, scallions and big flakes of bonito (dried tuna) served in a bowl of dashi broth with a note of sweetness”. Side note: we adore (and live for) Katy McGuinness’ forever anticipation of her readers’ reactions! Now to the stuff that didn’t work – “ebi (prawn) tempura, in an impeccable, light batter with a tentsuyu (dashi, mirin and soy) dip, and tender ‘seven spices’ calamari, [was] presented on an unnecessary bed of limp leaves that brought nothing to the party; pleasant but rather bland yasai gyoza – vegetable dumplings; Tuna tataki – seared on the outside, and then finely sliced – was disappointingly dull, its ponzu sauce over-sweet; an ebi tempura and avocado roll was simple and fresh, but a spicy tuna roll rather strange, with too much sweetness again in the chopped, almost jammy, tuna piled on top of the roll”. Delighted to see Joanne Cronin back to reviewing, her first of 2019, on her blog Stitch & Bear after a slight hiatus owing to lots of professional and personal accolades and ahcievements. To Assassination Custard is was, and it’s hard to believe this cult status tiny restaurant has been open since 2015. 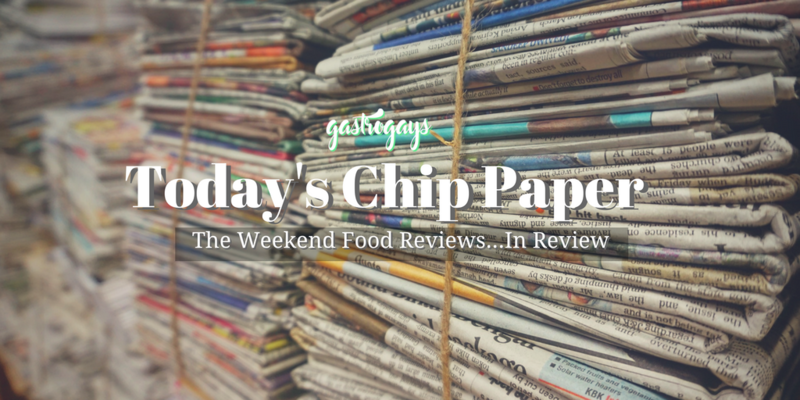 We had whiffs and utterances of this spot when we moved home in 2017 but it has indeed been shrouded in a little mystery and intrigue ever since, with the those-in-the-know of the food industry bigging it up particularly over the past two years or so. Cronin begins with the smoky aubergine dish, dotted with pomegranate seeds and crispy curry leaves – “The smoky flavour is strong but not overwhelming and I adore the crunch and scent from the little shiny green curry leaves. A little touch of salt flakes and this little plate is a knockout”. 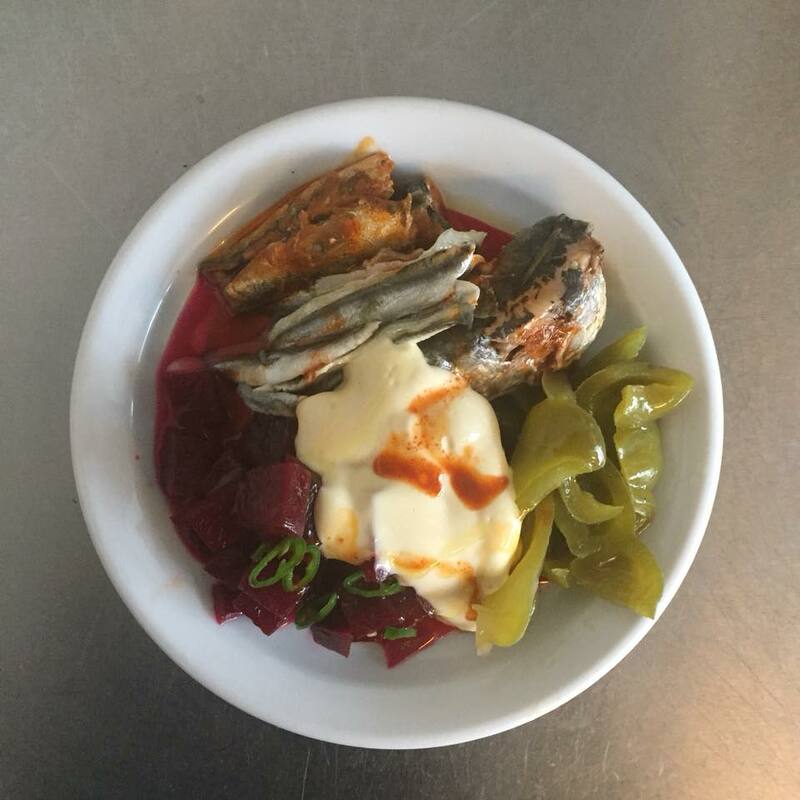 The next dish tried features homemade accoutrements like piccalilli, labneh and beeetroot with some anchovies – but the labneh is swapped out for some Knockalara sheep cheese alongside a couple of smoked anchovies from Lilliput Trading. In the blog post it looks more like a ploughman’s selection that could fairly easily be compiled from the contents of ones fridge, but Cronin assures “this eclectic mixed plate is ideal for 2 to share and perfectly suits the elbow to elbow style of the room”. “How pancakes should be done” is the description of the final dish Cronin tried, “borlengo, a style of Italian pancake from the town of Modena. Usually cooked in a large copper pan, it’s scaled back here into a single crispy portion topped with little chunks of jelly-like lardo, fragrant rosemary and a snowy layer of grated cheese (€7.50)”. 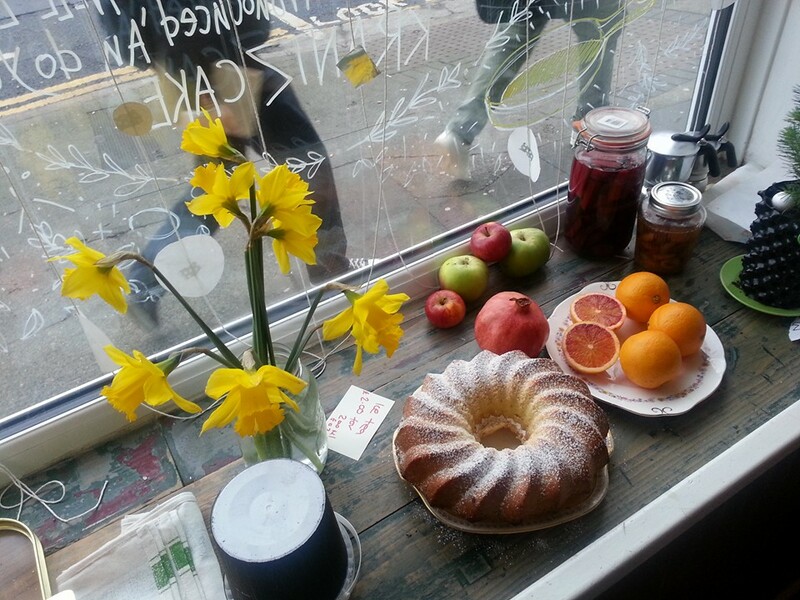 Final words are: “I cannot wait to return to this eclectic little spot. I’ll just make sure to get there earlier next time”.